Habour West Marina offers both paved outdoor storage as well as indoor heated storage options for recreational vessels up to 80 tons. 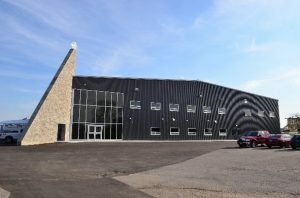 Our indoor storage facility, built in 2016, offers 40,000 sq. ft. of premium storage space with in-floor heating, a unique offering among marinas in the region. 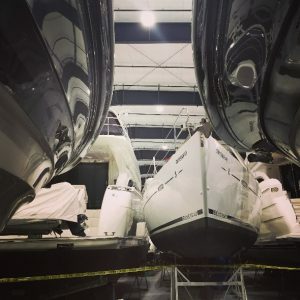 Both indoor and outdoor storage areas are secure facilities with card-controlled access gates, security cameras and security patrols to ensure the security of your vessel during the winter storage season. Our fleet of hauling equipment includes a 50- & 80-ton marine lifts, three forklifts and 20- & 60-ton marine carrier haul/launch equipment. 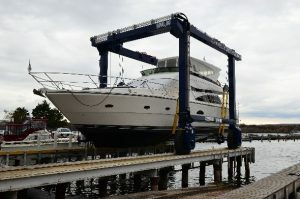 We offer mast storage services as well as mast unstepping and restepping for boats of all sizes. Mast-up sail boat storage and cradle rentals are also available. Hook up services for both hydro and water are available with outdoor storage and hydro hookup is available in the heated storage. View our current storage rates.